PG0 is a programming language for programming learning. 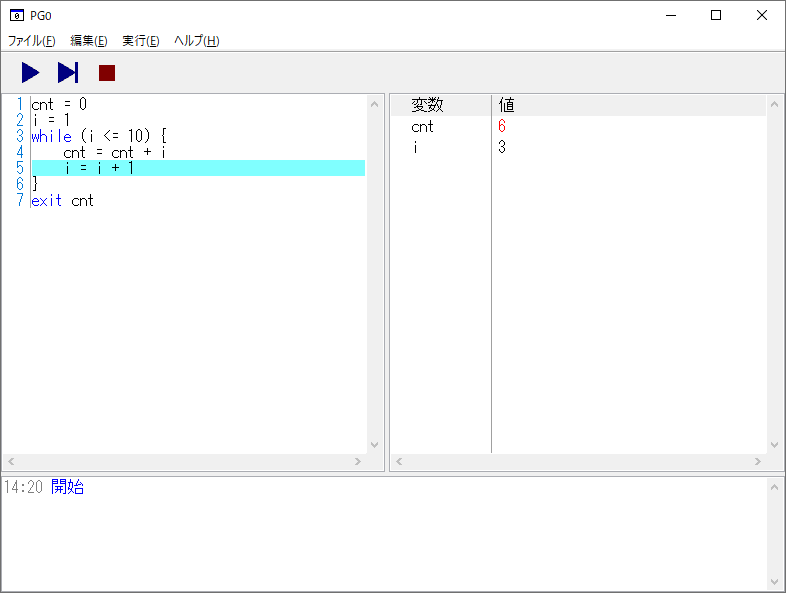 PG0 is a very simple programming language for learning purposes, but it can be written in the same way as a full-fledged programming language. So you can learn the basics of programming before you learn a full-fledged programming language. PG0 is dedicated to thinking algorithms by combining sequential, branch, and iteration that form the basis of programming. The types are "integer types" and "arrays", the branches are only "if, else", and the iteration is "while" only. The introduce of PG0 is very simple. You can use it just by installing it. Develop the program in the installed development tool and execute the program in the development tool. The development tool helps you to understand the program because you can visually see the program movement and the contents of the variable. PG0 works on Windows XP, Vista, 7, 8, 8.1, 10. Copyright © 1996-2019 by Ohno Tomoaki.